We all get a little gasy from time to time, flatulence or farting (hehe) is common but can happen more frequent by certain foods we eat. Its good to know what foods create more of this than others especially if you’re giving a presentation, in a meeting, during class or on a date! 5 Most Fart Producing Foods – in no particular order but when combined together create especially lethal results. Sugars (real and fake) – Cabbage, onions and a few other vegetables contain complex sugars and almost ALL fruits. Fruit drinks, sodas, ironically sugar-free food (like those for diabetics) and gum. Dairy – Milk, ice cream, cheese – If you are lactose intolerant this can sometimes cause the opposite effect and you can become extremely constipated. But once the milk starts moving, you are sure to have some diabolical farts brewing before you get to the bathroom. Starches – Potatoes, corn, pasta and wheat – one safe starch is RICE! Fried Foods – Fried foods contain a lot of oil (the type of oil used is very important, oil that is used multiple times in a row without being changed becomes contaminated over a period of time so they can often back up your system, when combined with a “kick” like cayenne pepper or hot sauce, the oil is backing you up while the spice is trying to push it out, thus creating some of the most intense, frequent and smelliest farts ever encountered! It’s important to note that more gas is common when a combination of food, beverages and substances are in your system. For example, I’ve found that on particular holidays I am more flatulent than others because I am not only eating more but I am eating a combination of different foods in one sitting and sometimes alcohol (and even stress) is sometimes involved. Your body is a interconnected organic machine so every part (mind, body, spirit) counts! Pickled strawberries are easy to make and offer a tangy sweetness to a variety of beverages, desserts and dishes. Cut the tops off of the strawberries and if they are very large strawberries, cut them into halves. Discard the tops. Place them in the jar. Add sugar, salt, vinegar and 2/3 cup of water in a pot, mix together and bring to a boil over a medium high heat. Stir to dissolve the salt and sugar. Pour the mixture over the strawberries in the jar. Allow them to cool then cover and place them in the fridge to chill. Leave them in the jar for 5 days or more. What dishes can you make with pickled strawberries? Even the greatest chefs could benefit to know a few quick and simple hacks when cooking their favorite dishes. Helpful tips that will make your cooking and baking experience a lot easier! Cast iron skillets are excellent for cooking a variety of foods. Why do we love cast iron skillets? How to care for your cast iron skillet? “Season” your skillet with flaxseed oil which oxidizes and polymerizes faster than vegetable oils but sunflower and soybean oil are also good alternatives. How do you know if your cast iron skillet is well seasoned? Fry an egg on the skillet by heating 1 tbsp of oil over medium heat for 3 minutes then add the egg. If the pan is well seasoned there will be little to no sticking – very minimal sticking. How to maintain your cast iron skillet? Clean after every use by wiping the surface of your still warm skillet (not hot, be careful!) with paper towels to remove any excess food or oil. Then rinse your skillet under hot running water and scrub with a nonmetal brush – you can use a very small amount of soap if you choose – a common misconception is that you can’t use soap on your cast iron skillet but you can just don’t put that elbow grease into it when you clean it with soap the way you would other pans or skillets. As we know, cast iron skillets last a long time, as your skillet ages you can also maintain it by heating it over medium high heat and using paper towels dipped in 2 tbsps of olive oil (held with TONGS) wipe the surface until the oil smokes and there is no more remaining oil residue. You can also do this by placing the skillet in the oven at 500 degrees for 1 hour. Rub 1 tbsp of oil over the surface then using clean paper towels thoroughly wipe out oil then place in oven. Your skin is an organ with tiny pores that will absorb the environment surrounding especially when these pores are exposed to heat. When taking a bath in warm or hot water and soaking for at least 20 minutes, your skin will absorb whatever ingredients you place in the bath. It’s sort of like a giant pot of tea and they are seeping in the water for your body to take in. Try any of these remedies to help treat whatever condition you may be experiencing, soak for at least 20 to 30 minutes to gain the full effects. 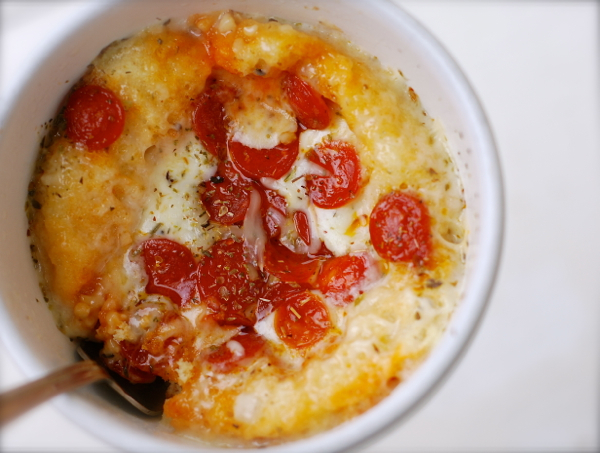 Making pizza in a mason jar is a simple and quick recipe. It’s the perfect activity for childrens parties and makes a great snack too! Combine 4 tablespoons of flour, 1/8 teaspoon of salt, 1/8 teaspoon of baking powder, and a pinch of baking soda in a mug. Mix in 3 tablespoons of milk and 1 tablespoon of oil. Add 1- 2 tbsps of marinara sauce. Top it off with shredded cheese and dried herbs. Stick in the microwave for 1 – 2 minutes. I like to add other ingredients like pepperoni and sliced black olives. 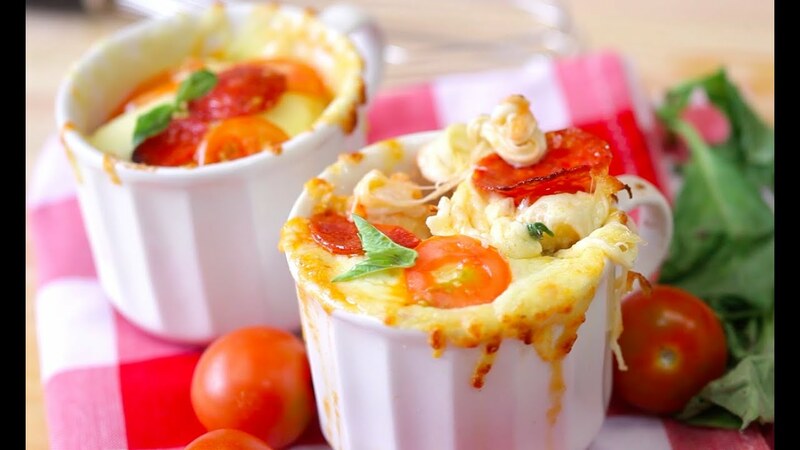 Single serving personal pizzas the whole family can enjoy!